“The great fear of the period That Uncle Sam may be swallowed by foreigners : The problem solved,” 1860-1869, Library of Congress. Many white Americans responded to increasing numbers of immigrants in the 1800s with great fear and xenophobic hatred, seeing immigrants as threats to their vision of manifest destiny. 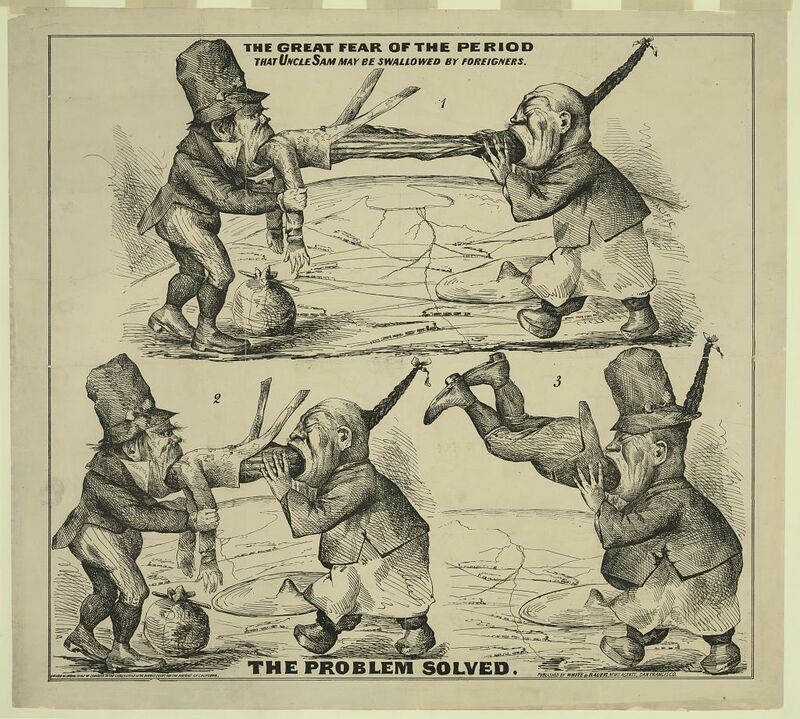 This cartoon depicts a highly racialized image of a Chinese immigrant and Irish immigrant “swallowing” the United States–in the form of Uncle Sam. Networks of railroads and the promise of American expansion can be seen in the background.